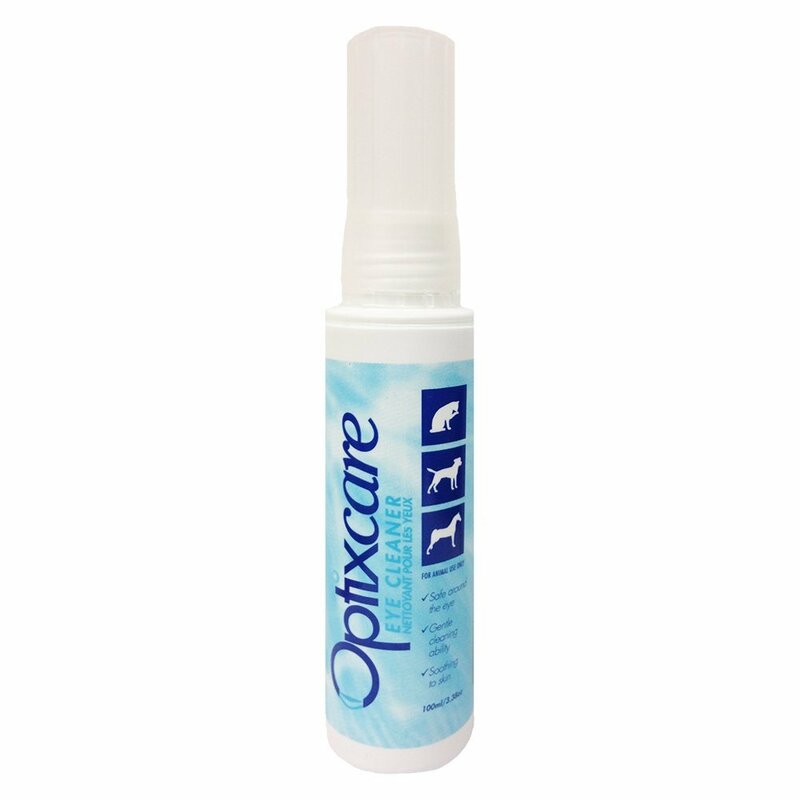 Optixcare Eye Cleaner is free of harsh chemicals like boric acid, peroxides or alcohol. It is for this reason the product is safe around the eye. The pet owner will need to be patient with stain removal efforts as it can take up to two weeks to accomplish with this gentle formulation. To soothe irritated skin as found underneath eye debris or staining Optixcare Eye Cleaner also contains chamomile.